Yes lot's of snow, probably 30 inches. Here is my car before. Note those fence posts are like 4 feet high. The middle one has my charger attached and buried. I've never had my car buried in snow and maybe this is a dumb question but if your car is buried then the snow removed is the car any cleaner? Does the snow pull any of the dirt off the car? Most of the times, yes, it cleans the exterior of your car. More the horizontal surfaces than the side panels though. With my previous car, the winshield washer motor died and I often cleaned my car's windows just by throw snow on them and then removing it. It was quite effective. I did this for two winters at least, maybe three. 1) There might be an optional AC step down or step up transformer. How will this work if it is fed DC? 2) There will be an AC to DC conversion circuit. What happens if this is fed DC? Unless you guys are talking about modifying the appliance to feed DC directly to the point in the appliance that uses DC. No, I'm talking about the point of entry here. I've already tested this somewhat feeding high-voltage DC to LED tubes which supposedly need AC. As I said, in most cases the only place you have 120VAC in the circuit is before it's fed into a rectifier and filtered to DC. A full-wave rectifier will give you DC whether it's fed AC or DC. Since the rest of the conversion circuit is designed to work off DC, it'll work just fine. That's my point. It just doesn't matter in most cases. The cases where it does is when what is connected to the AC line is engineered to work only with 120VAC, 60 Hz (or whatever the line voltage in your country is). Those would be mostly old-school heavy 60Hz transformers and induction motors. If you feed either DC, at best it won't work but most likely it'll either burn up or blow an internal fuse. There are still a significant number of devices with induction motors but 60Hz transformers are a rarity in most things made in the last 2 or so decades. In cases where a device might require AC on the input but DC to actually power the device, the solution could be as easy as disconnecting the 60Hz transformer internally and using a switching power supply to power the device. Obviously not worth it given that most electronics that old are obsolete but I suppose if you're really attached to a device you could do this (or have someone do it for you). In general yes. But then you drive on the salted wet roads and it is dirtier than before. Car washes when it gets above freezing are usually quite busy. My craftsman snowblower belt came off twice. To fix it requires draining the gas, turning the snowblower on its front, removing the bottom plate and then putting the belt back on. I may have been pushing it too hard. Unfortunately it's been nearly 15 years since I've down any snow hiking/backpacking. And with me pushing 50 and...........well.............unfortunately it might not happen ever again. That's OK. I'm not lunar anymore either, but I'd be happy to under 50. From when we were living away from town previously I'm already familiar with septic tank/leech field design and construction. Well drilling is something I'll work with a pro on, but well testing, treatment, and maintenance is something I have experience with as well. The end goal is to have a small house on a hill somewhere with nothing but a massive wireless up-link to the internet. I'm even already building solar powered wireless relay stations if that turns out to be necessary. Ech. I have experience with all those things too. Even the well building part, though that didn't go according to plan when we tried it. Wireless up-link to the internet: HughesNet. Ech. Nope, not doing that again. I'd rather have an ISDN connection or an expensive cellular hotspot than HughesNet. Back onto the topic of the thread, this whole solar thing has me wondering when solutions will come for getting snow off of your roof without climbing up there to clear off any solar panels one might have on there. And the age discussion has me wondering how I'll feel about life when I hit that age. Will I feel like I've done something worthwhile with my life as I approach my 'golden years'? Will I even be alive to wonder what could have been? A sobering thought, that. Anything can happen at any time. Hire somebody to do that. The places with heavy and long-lasting snow are not usually the best for solar power anyway. There is a huge difference between wireless internet and satellite internet. Satellite has two problems, latency and bandwidth. Latency is purely a matter of the distance the information travels. All HughesNet satellites are in geostationary orbits approximately 35,786km away. Even if your house and their source were directly underneath their latest satellite on the equator at 107.1W, the data would take about a quarter of a second to go straight up and straight back. Compound this with websites that dynamically build themselves after querying your computer for information (cookies, screen resolution, etc), and it can take many seconds for your computer to start getting the final page. Then there is bandwidth. Here Hughesnet has few excuses beyond oversubscribing their service. Wireless is point to point, with a good link technically being faster than a fiber connection in total distance traveled and (potentially) number of hops taken between two points. Bandwidth isn't an issue either. Clearing snow from a roof or solar panels is as easy as heating them from underneath. Perhaps run a coil of water/antifreeze under the panels/roof and route the other end far enough underground to find non-freezing temperatures? As far as living away from people, I think it has more to do with life conditions than age. When I was younger there were many things in my life that I needed and didn't have; social interaction, companionship, projects, development opportunities, etc. Now I have all those things effectively secured, between the family and career position I don't need to go out and find them. As such all the people and their noise is just an inconvenience. For as long as my daughter lives at home we'll continue to live in a city so she has those opportunities, but then we are outta here. 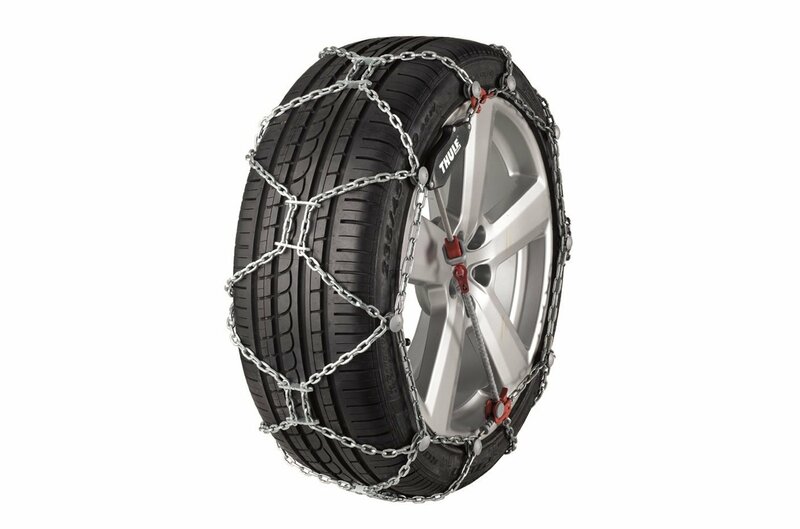 Installing Firestone Winterforce LT snow tires on the Suburban tomorrow. Couldn't stomach the price of the Hakka 8s, reviews on Tire Rack seem positive. We're supposed to get around 8 inches of snow total over the weekend. I'm not looking forward to commuting on Monday. Is there no work from home option? We've already had a decent storm couple weeks ago, early this season with 15" in 24 hours from a Sunday afternoon into Monday arvo. Schools were closed on the Monday. Late next week I guess it's going to get real cold with the polar vortex kicking in. I have client meetings all day, so no. I hate that polar vortex so much. And your clients are still going to come with the 8" of snow? When I leave work at 4:30am and see frost on my car windshield, I'm like Oh WOW!!! Snow. LMAO. At least I don't have to worry about snow here. Yes, most people take the train, so the snow shouldn't affect people's ability to get downtown. Not a lie. Just something I haven't done in 15 years. Had about a foot of snow on Thursday, the Winterforce tires perform well with snow but have issues with ice buildup below the snow on my uphill driveway. Ended up ordering some chains for the rear drive axle, Thule XG12 Pros, which seem to be a decent quick mount solution for the really bad days. A roof rake will let you do that from the safety of the ground. First snow of the year here. A few inches accumulated, then we had a little rain turning it into a slushy mess. It almost got down to freezing last night (2C). Probably won't happen again for a month or so. I'm sure those panels are rated to handle some ice, but I never looked into it. Yet the high today is 56°F. Weird weather. Lows all the way down to mid 40's this week! I'ma freeze to deth. Pennsylvania is cancelled due to incremental weather. Fortunately I'm not stuck in NC. Snowpocalyse in NYC. First time this year I actually need to shovel. Was hoping to use my snowblower for the first time this season, but it was mostly slush. About 2 inches of slush and an inch of snow on top. Had to use the push shovel instead. Slush just clogs the snowblower. I had to turn on the car A/C today. 80s today and tomorrow here in sunny AZ. We got somewhere in the range of 12"-14" of snow yesterday. Plenty of strength training while shoveling. We've gotten almost no snow this winter in Chicago. It's been great. Good thinking sending all of it to Handy. We got a dusting of snow in early December and we occasionally get flurries but no accumulation. It being 60F here almost every other day down here helps with that.